Remember that one week when it snowed? Oh, and it was 14 degrees out? 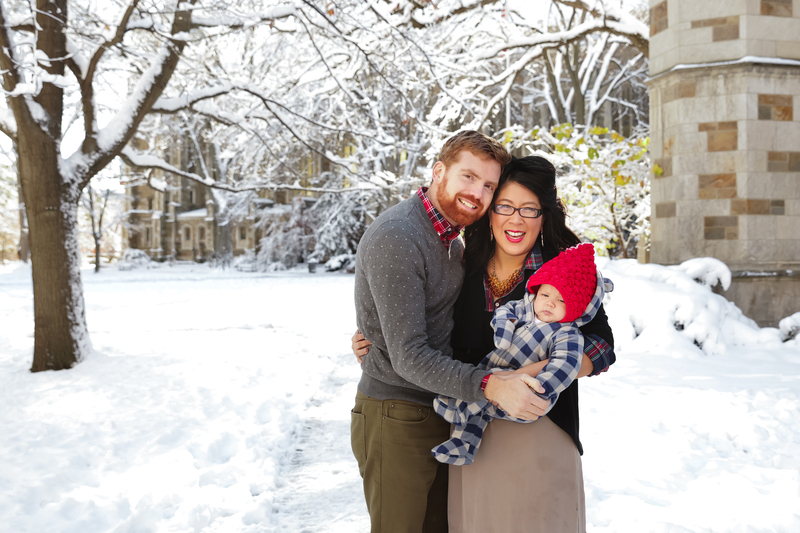 Well, I had the pleasure of meeting this fun family at one of my favorite Ann Arbor locations right after mother nature dumped 14 inches of snow on us for a snowy session. These awesome parents assured me the weather was not an obstacle, and it wasn’t. I know they were hoping for some festive holiday photos for their holiday cards, and I think we got them. 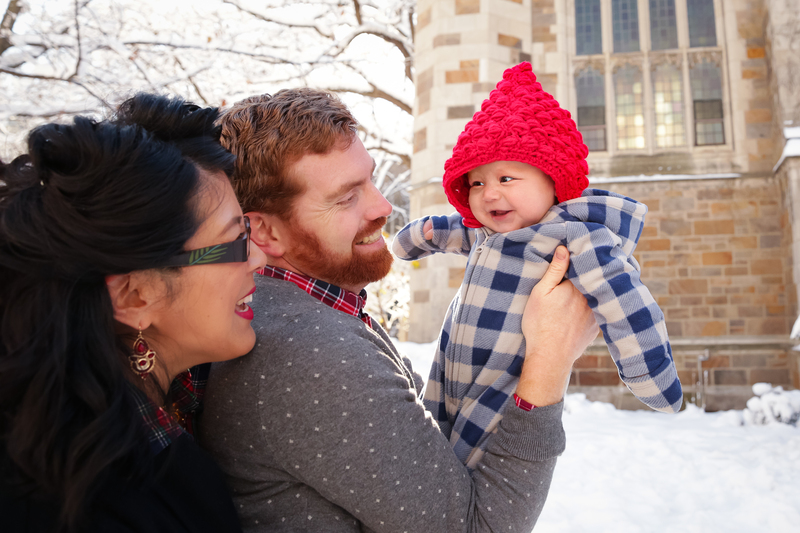 Aside from the snow covered trees, don’t you just love how that sweet baby boy’s red hat and mom’s red tights pop against the backdrop? This 4 month old baby was as happy as can be snuggled up with his mom and dad. Of course, I had to include an image of a little crying. These are becoming some of my favorites, because I love to see the smiles on moms’ and dads’ faces as they take the tears in stride. Here is a peek at our morning together. If you missed the fall leaves, don’t fret; I know lots of spots in the Ann Arbor area that are still lovely this time of year. Give me a call 734.531.9733 or send me an email and we can plan your Winter session. Not up for braving the cold? Then let’s set a date for this Spring.